The Esys Firetube Retrofit Kit, Esys Firetube MX-1.0, and Esys Firetube MX-1.5 natural gas fired burners and associated control systems are now listed as certified for use on fluid backed heaters and are the only burners in the San Joaquin Valley and South Coast areas with this approval at this time. Fluid backed fire tube heaters with capacities between 0.4 and 2.0 MMBTU/HR fired on PUC gas or similar. Burner- XPO 1 PB 4 — Fire tube burner with packaged 1.0 HP forced draft blower. Burner capacity is 1.0 MMBTU/HR and is designed for fire tubes with internal diameters of 14-18 inches. Combustion Control — Esys® Combustion Control Panel containing a Honeywell Flame Safeguard Controller, Honeywell Annunciator, Smartlink MRV Electronic Parallel Positioning for Air-Fuel Ratio Control, Moore 535 Controller for fire-rate demand, Packaged Fuel Train Built to B31.3 and NFPA 87 Standards. Burner- XPO 2 PB 4 — Fire tube burner with packaged 3.0 HP forced draft blower. Burner capacity is 1.5 MMBTU/HR and is designed for fire tubes with internal diameters of 16-22 inches. Combustion Control — Esys Combustion Control Panel containing a Honeywell Flame Safeguard Controller, Honeywell Annunciator, Smartlink MRV Electronic Parallel Positioning for Air-Fuel Ratio Control, Moore 535 Controller for fire-rate demand, Packaged Fuel Train Built to B31.3 and NFPA 87 Standards. Each system will have a nameplate affixed to the skid and control panel stating the model number, date of certification, capacity and manufacturer’s information. Only burners in the San Joaquin Valley that can run under Rule 4308 must first be approved. These tests by Aeros are for that approval. Esys® has developed a Firetube Retrofit KIt, Esys Firetube MX-1.0, and Esys Firetube MX-1.5 utilizing a Maxon XPO burner. Visit our WiVi 2018 exhibit in Adelaide Hall, booth 111, at the Paso Robles Event Center on March 21, and our staff will show you what Esys® brings to the agricultural and winemaking sectors. Get a free tradeshow pass when you pre-register online. Come and see us at this year’s World Ag Expo® at the International Agri-Center® in Tulare, California, February 13–15, 2018. Stop by our booth, visit with our reps and engineers, and learn what we bring to the agricultural market. These units are the next evolution of cutting design, a Zone 2 IIC ATEX/IECEx certified line of air conditioners available in 4000, 5000, and 6000 BTUh models. These IP66/NEMA 4/4X rated units have a powder coat finish on 16-gauge welded steel. 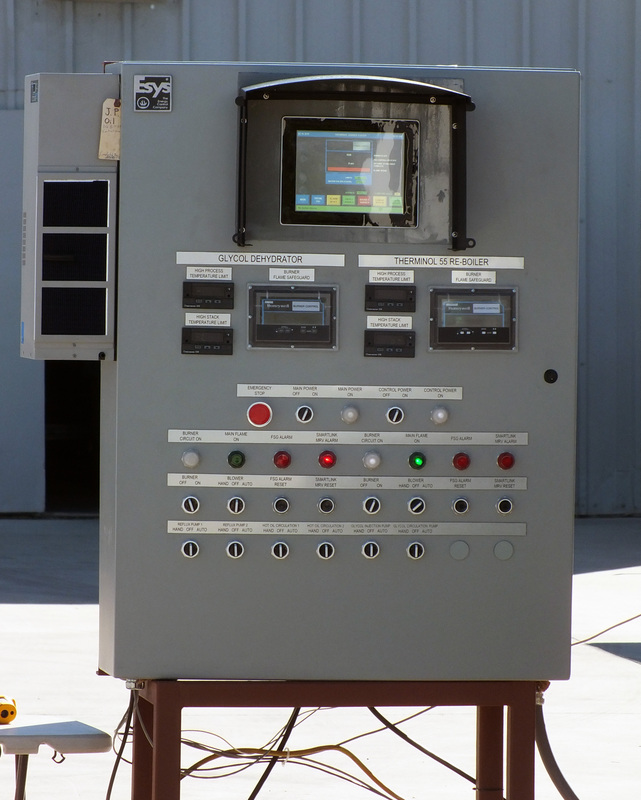 A standard digital controller—which allows for programming temperatures and alarms—can be installed on the front or rear of the unit, allowing it to be accessed inside or outside the enclosure to which it is mounted. Condenser air flow can be redirected with the external, repositionable diverter plate. Options include 120V, 220/230V, 400V, and 480V models. Custom finishes are available, and units can be housed in 304 or 316 Stainless steel. Accessories include an Ethernet controller, alarm output, a built-in optional purge fitting, and much more. The EV Evolution Series from Ice Qube® is a Class 1 Division 2 Groups A, B, C, & D plus general purpose and ordinary location air conditioner. Available now in 4000, 5000, and 6000 BTUh models with 8000, 10000 and 12000 BTUh models coming soon, and later this year, up to 27000 BTUh models will be available. Esys® has been chosen as the Factory Authorized Dealer and Repair Center for Ice Qube® in central California. Esys now offers an industrial air conditioner field service team to perform maintenance at customer locations. Contact us to schedule an appointment. The new facility provides a clean-room environment and allows for wider variety of drives to be tested as well as enhanced abilities for load-testing the VFDs. With our portable gas analyzer, we can determine full gas speciation (including H2S and CO2), BTU content, and specific gravity of fuel gases through real-time tests with a default analysis time of 5 seconds. Contact our engineering department for details. Trade-in your old, used emissions analyzer and receive a $1000 discount off the purchase of an all new Testo 350 portable combustion and emissions analyzer. Contact testosales@esys.us for more information. This program expired in 2016. Items currently available include the 1500 GPC, Probe Mounting Jackets, and Testo products. More brands will be available very soon. As of August 13, 2014, Esys is officially a Danfoss factory-authorized repair center. Repairs performed at our facilities include servicing and testing of variable frequency drives (VFDs). This shop is in the south building at the Woodmere facility, located at 5241 Stine Road, Bakersfield, CA 93313. 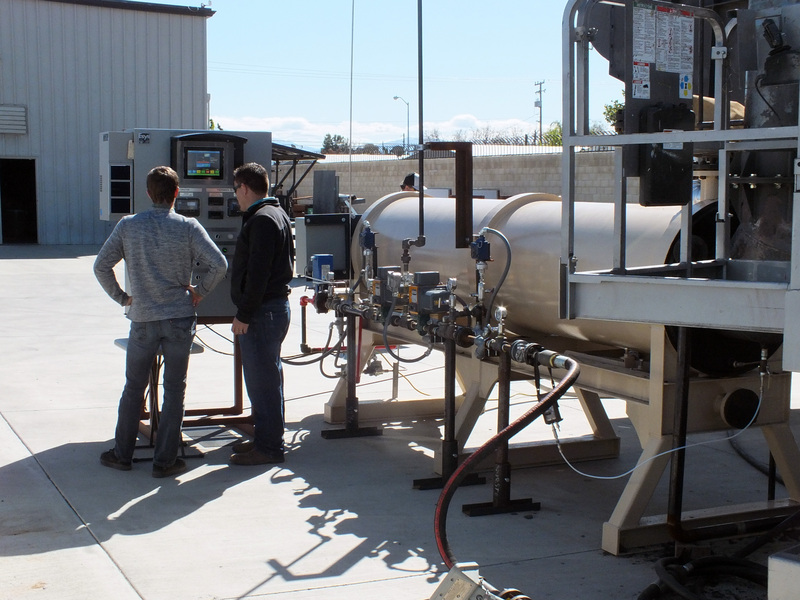 The new facility specializes in the fabrication of fuel piping systems conformant to API and ASME B31.3 standards. These systems are capable of monitoring oxygen concentrations in the presence of combustible gases and high H2S concentrations. This system provides up-to-date BTU measurement of field gas for improving combustion control system performance. This new facility (“Woodmere”) is located at 5221 and 5241 Stine Road, Bakersfield, CA 93313, at the corner of Stine Road and Woodmere Drive. We now offer Testo® products including portable combustion analyzers, infrared cameras, and temperature monitoring equipment. Esys® is Awarded Another Patent! This patent relates to a method for the control of steam quality on multipath steam generators. 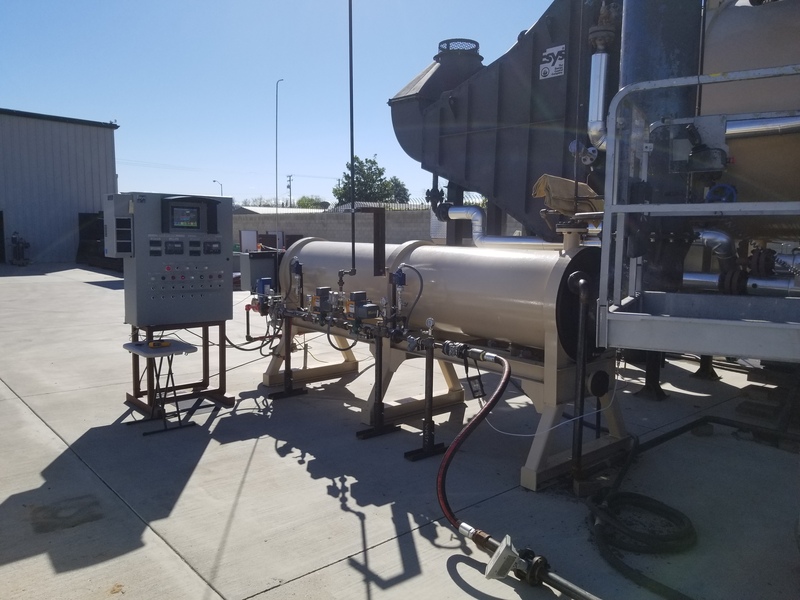 Customers can rent our propane- or natural gas-fired 25 MMBTU/hour generators capable of outputting 1500 barrels per day at 1600 PSI and 80% steam quality. 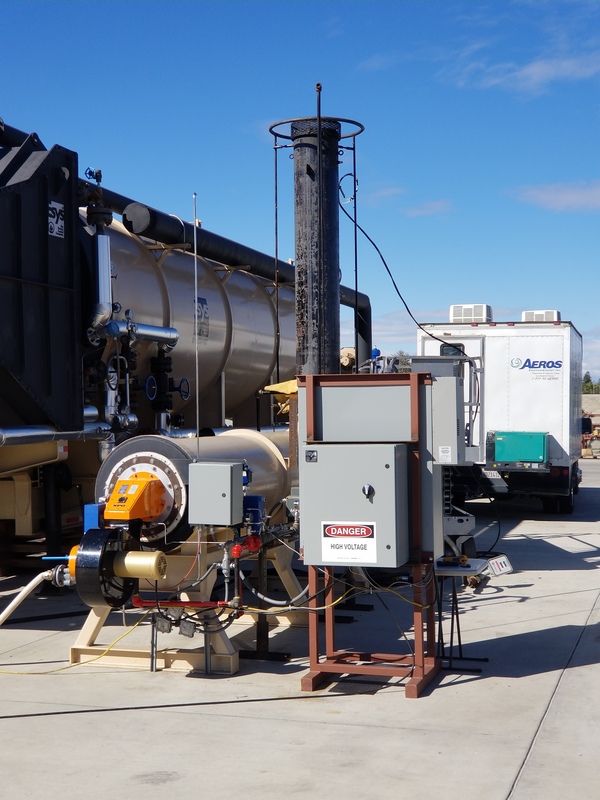 These steam generators are trailer mounted and approved for permitted travel on California highways. Contact Esys® for more information. Typical Maxon quality and reliability is found in the M-PAKT® Ultra Low NOx Burners, which provide low levels of NOx and CO. NOx is typically < 15 ppm while CO is maintained < 50 ppm in most applications. Esys® acquired the product line from Rosemount Analytical, Inc. and will provide sales, parts, and repairs for the 1500A GPC Combustion Controller. Customers with the earlier model 1500 GPC will also be supported with repair service and/or compatible replacement parts from the model 1500A GPC. (Note: this controller was also known as the Westinghouse 1500 GPC or Hagan GPC).